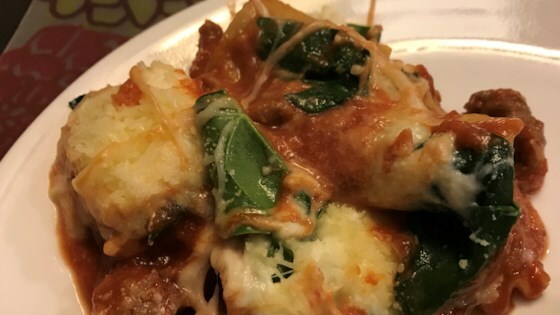 "Quick and easy way to make lasagna!" This has some real potential but it is very under seasoned for our taste. I would add garlic, onion, oregano, basil and sub a jar of spaghetti sauce to add much needed flavor. I liked the concept, but took the advice of another poster & added garlic, basil & Italian seasoning to the sauce. It turned out quite tasty. I made this last night in a dutch oven. I used ground turkey and turkey sausage. My family loved it.